Your grandparents and their parents knew how to celebrate the coming in of a new year. Here is a look at some of those forgotten traditions. See not just a Christmas tree but putting up a different tree and decorating it for the new year. This dates back to the 1600s. 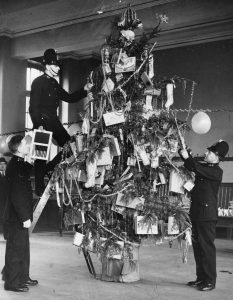 Placing on the tree in the house or place of work was very common in Russia to celebrate the New Year. The tradition died out after the Russian Revolution in 1917. Today, you can set up a New Years tree, placing big balloons to pop one for the countdown – last ten seconds. Having a big smashing New Years party was the thing to do decades ago. Get all dressed up, go to a nightclub, dance, drink and bring in the new year with a bang. 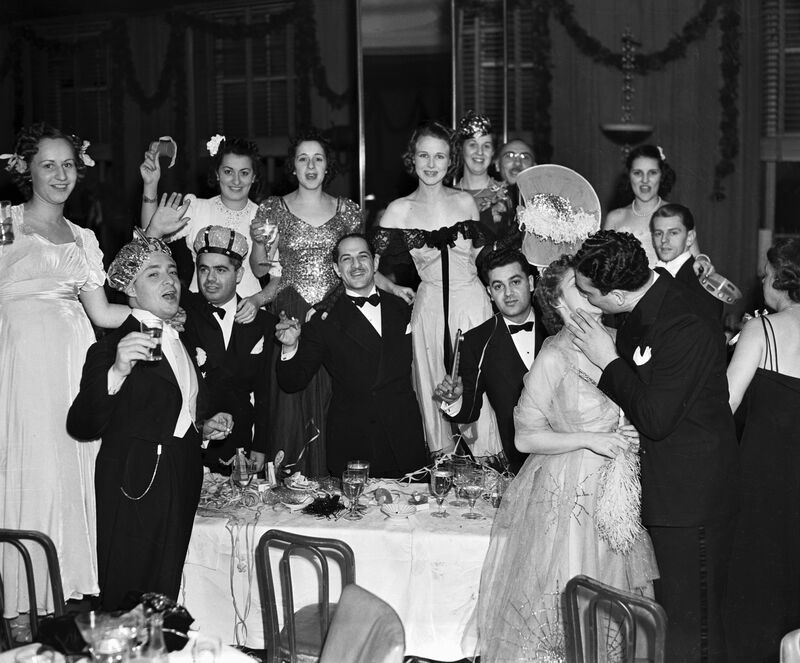 Believe it or not, your grandparents knew how to party. In Scotland they are known for having New Year parties last for days. To ward off any bad events or happenings in the new year, the Irish banged bread against a wall to keep bad luck away. There were other food customs for different countries. In Spain, eating 12 white grapes at midnight helped bring good luck. An American South tradition was eating black-eyed peas and collard greens on New Years Day for good luck. 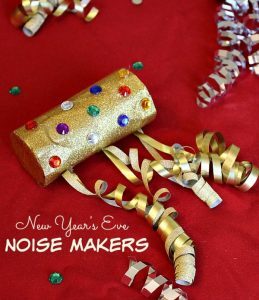 To start the new year at midnight making noise has been a popular activity. Shooting off guns with their loud blast was common in the American colonies of the 1600s to 1700s. The noise making changed later to blowing horns, ringing bells or setting off fireworks. Your grandparents always remembered to write thank you cards and notes, not only for any holiday gifts but also handwritten notes expressing gratitude to people they worked with or socialize with to express what an impact they had on them over the past year. That appears to be a lost art. 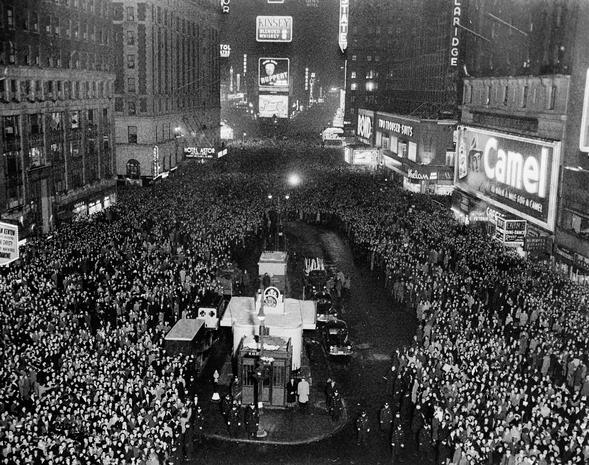 That long-time tradition started in 1904 in NYC Times Square, using fireworks and was produced by The New York Times to inaugurate their new headquarters in Times Square and celebrate the renaming of Longacre Square to Times Square. However, the practice of shooting off fireworks only lasted a few years, it was banned by the police when hot ashes from the fireworks into the street where people were gathered. 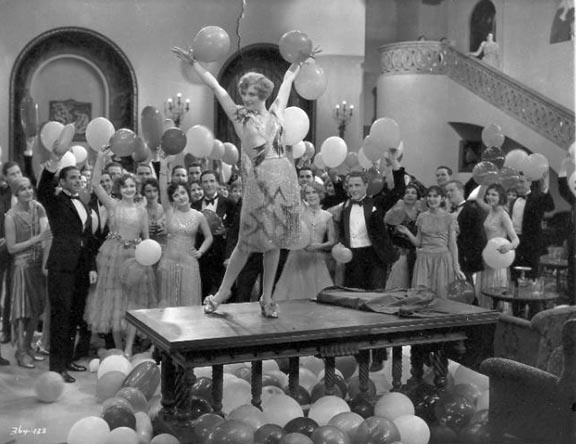 So at first a large wooden ball with 100 light bulbs was used starting on December 31, 1907. The lights and style of the big ball has changed over the decades, now Waterford crystal triangles make up the ball along with over 32,000 LED lights. 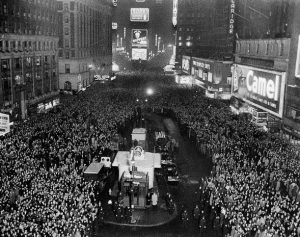 Photos: New Years Tree for the police; party time in the 1920s; Noisemakers; party time and kissing; and crowds in Times Square on December 31, 1940.